I hate everything about the San Francisco Giants, but I love everything about baseball. Life is full of juxtapositions and contradictions, folks. Deal with it. 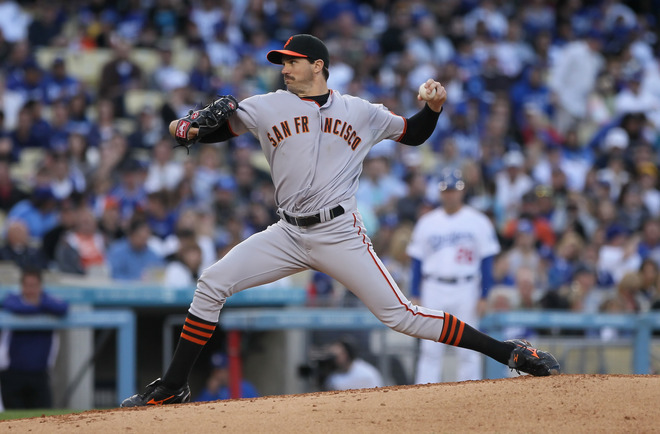 But what is Barry Zito’s deal? I LOVE these socks. Love…in every way. They look so pimp. So, Zito’s got to have some sort of awesome fashion sense right? Right. So WHAT THE HELL is up with that Chester ‘stache he’s rocking? I’m not kidding. He lose a bet? Like that caterpillar on steroids all over Brian Wilson’s face and neck wasn’t bad enough, Barry’s gotta grow that little baby caterpillar on his lip? It’s not Movember, so it’s just creepy. 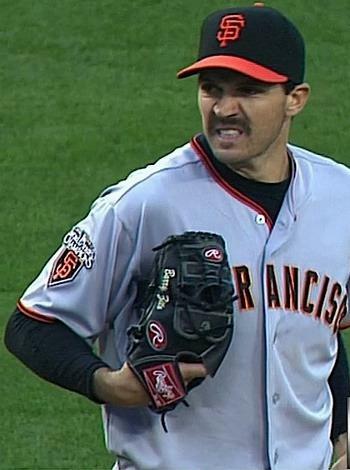 This entry was posted in Baseball, Fashion, MLB and tagged Barry Zito, Barry Zito's Mustache, Giants, I hate the Giants, Movember, San Francisco Giants, What's Barry Zito's Deal?. Bookmark the permalink.